Home » Family Finance » Sharing my Debt Payoff Story – No Fooling! Sharing my Debt Payoff Story – No Fooling! 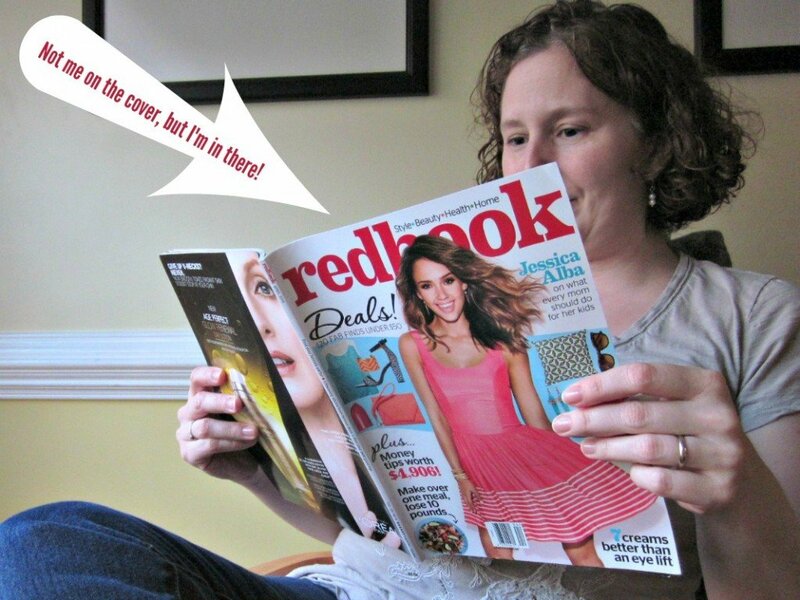 I’m on page 102-3 of the March issue of Redbook Magazine sharing my debt payoff story–woot woot! The issue has a whole financial section that includes money secrets, how to spend a tax refund, ways to live richly, strategies for saving, and money-saving apps. I’m in Zero Debt: You can do this! and was thrilled to be a part of it. There isn’t an online version, so you’ll just have to check it out in print. If you’ve been reading MoneywiseMoms the past few years, you know exactly how we paid off $87,000 in a little over two years–with me side hustling to earn extra income doing anything I could, buckling down and living on a tight budget, and looking for the light at the end of the tunnel. We started by setting financial goals back in 2009 and working for years to get on the same page (it’s hard!). We finally took on the debt seriously in 2011, and now we’re debt-free except for our mortgage and working on our emergency fund and retirement savings. Do you want to earn extra money to put towards debt or savings? Sign up with Swagbucks to earn FREE Amazon gift cards (extra bonus if you sign up by April 5th). With a little time, you can earn hundreds of dollars to extend your budget. Sell your clutter at now that it’s Yard Sale season. Team up with your neighbors or church group to increase traffic, and bring in hundreds of dollars for a few hours of work. Instead of physically having a yard sale, sell on a Neighborhood Facebook Group. Ours is hot right now, with many families doing spring cleaning and others buying up outgrown clothes and toys. Earn FREE gas cards from MyPoints like I do every year. Work your credit card’s cash back program. By utlizing promos, using the card for every purchase, and paying off the balance each month, we earn over $500 cash back on our credit card every year. Offer a service in your neighborhood. Can you pet sit, house sit, do yard work, or offer another skill? Let others know you’re available. The money I’ve earned babysitting the past few years helped us pay off the debt. That’s a staggering amount of debt to pay off in such a short time. Congrats! We need to work more on financial goals, too.